Observe the condescension of this fact. This Man, who towers above all other men, holy, harmless, undefiled, and separate from sinners-this Man receiveth sinners. 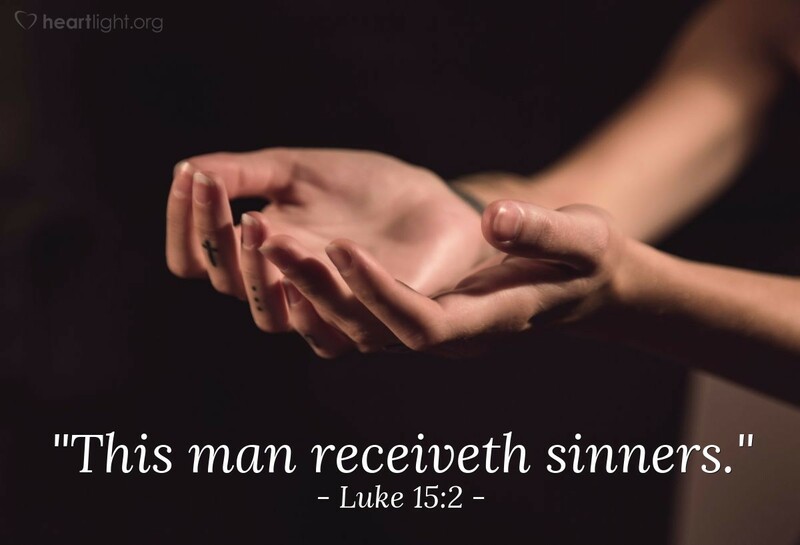 This Man, who is no other than the eternal God, before whom angels veil their faces-this Man receiveth sinners. It needs an angel's tongue to describe such a mighty stoop of love. That any of us should be willing to seek after the lost is nothing wonderful- they are of our own race; but that he, the offended God, against whom the transgression has been committed, should take upon himself the form of a servant, and bear the sin of many, and should then be willing to receive the vilest of the vile, this is marvellous.